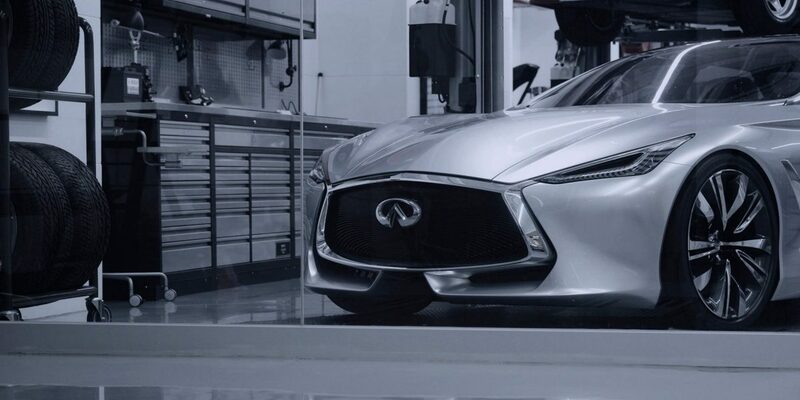 The tremendous presence, stunning design and bold execution of the Q80 Inspiration represent the future of INFINITI premium sedans. 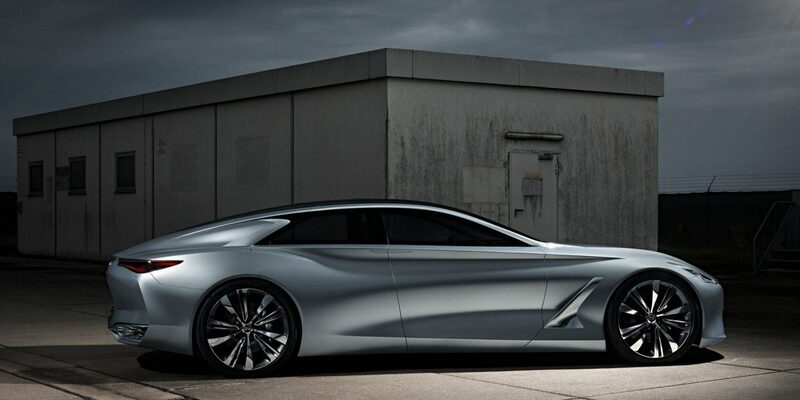 INFINITI Q80 Inspiration four-door fastback marks a brave and innovative conceptual charge into the upper echelons of the premium sedan segment. 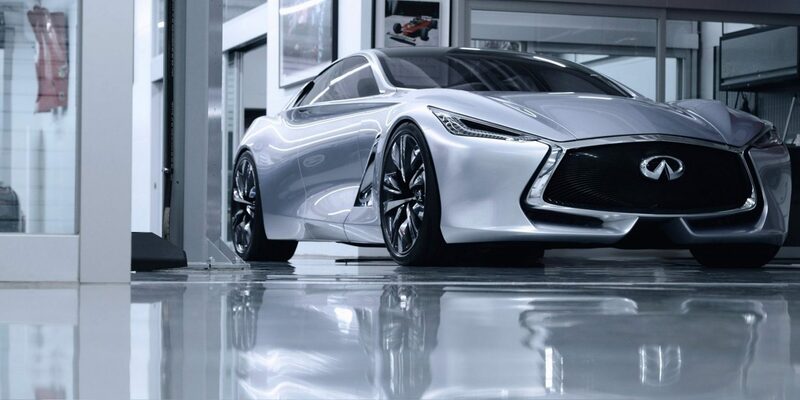 The phenomenal performance of the 550hp hybrid electric powertrain engine pushes boundaries along with the alluring shape and arresting body styling. 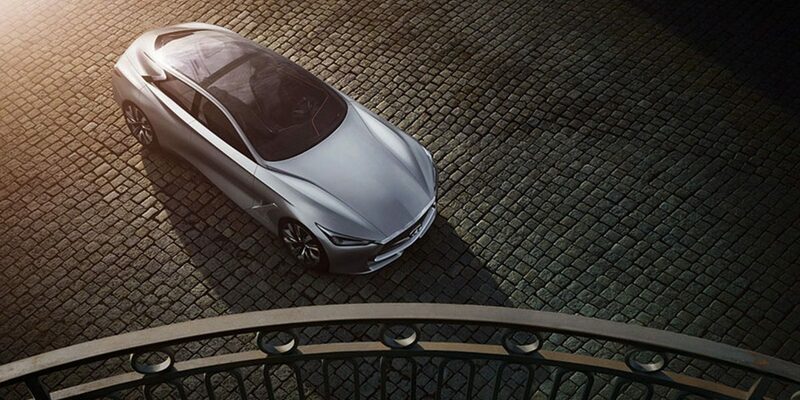 Far from ordinary, Q80 hints at the future of INFINITI excellence. 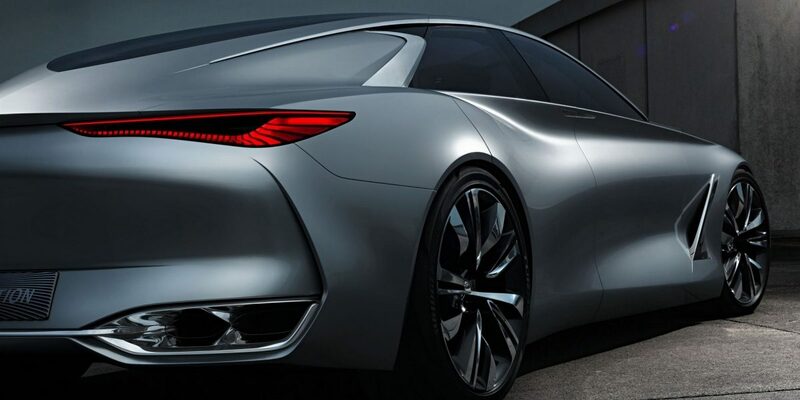 "The Q80 Inspiration concept was born to disrupt the premium sedan category." 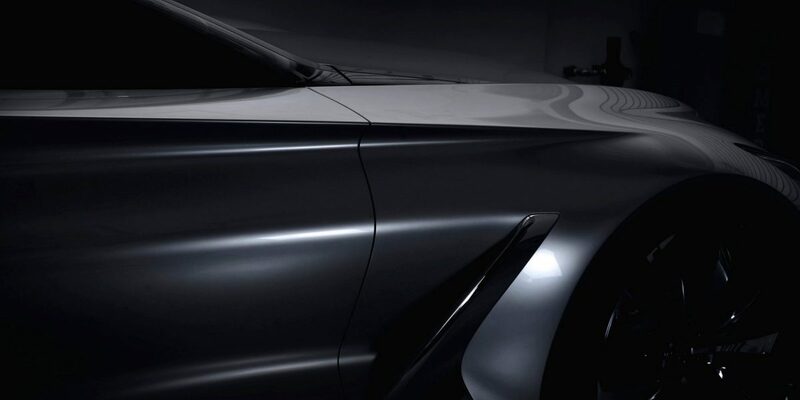 The exterior of Q80 Inspiration is striking with convention-breaking proportions and fastback contouring. 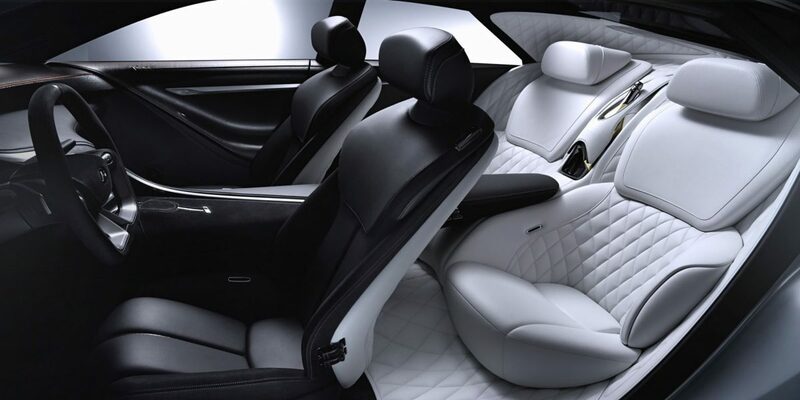 The interior is exquisitely detailed featuring romance in the shape of quilted leather seats and luxury finishes. Bathed in light from the sculptural panoramic glass roof, the interior boasts smart technology that is simplified and functional. 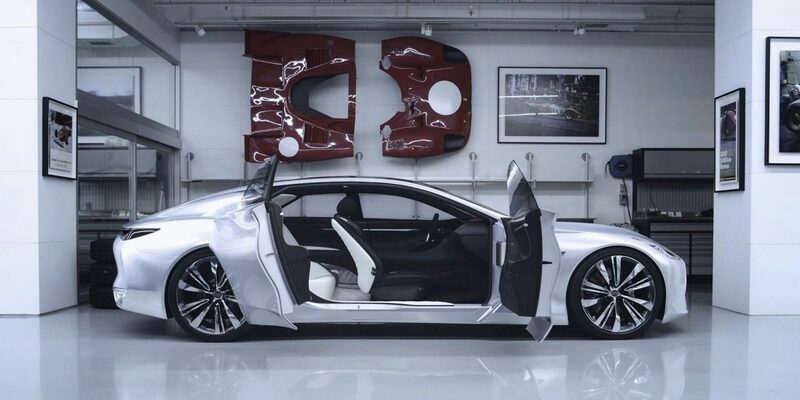 This car is exemplary both inside and out. 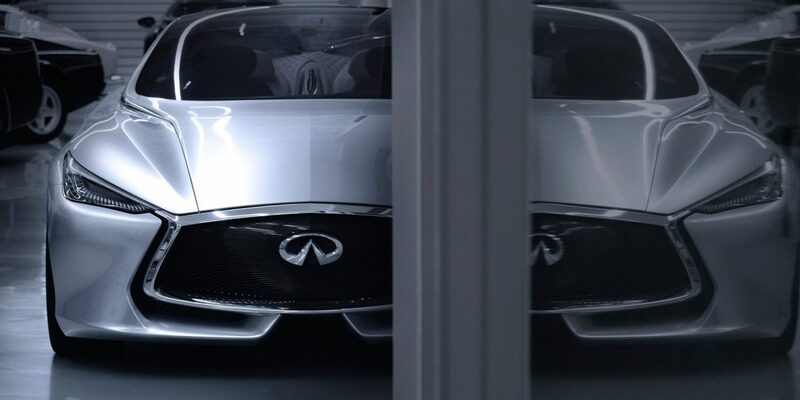 Q80 Inspiration previews autonomous driving technology. 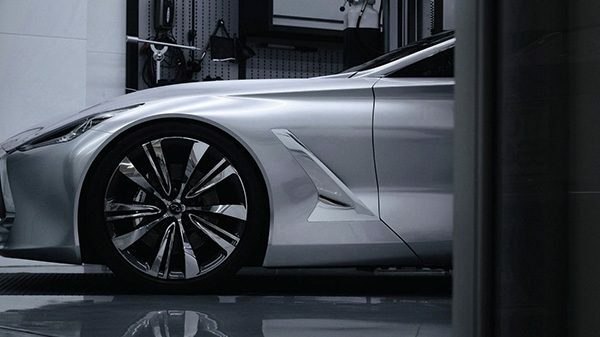 We believe technology should enhance the driver, not restrict them. 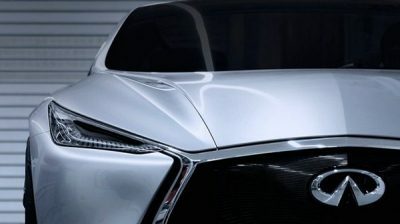 It is a driver-centric approach that utilizes cameras, lasers, and sensors and offers an ongoing dialogue via a clever HUD display projected on the windscreen. 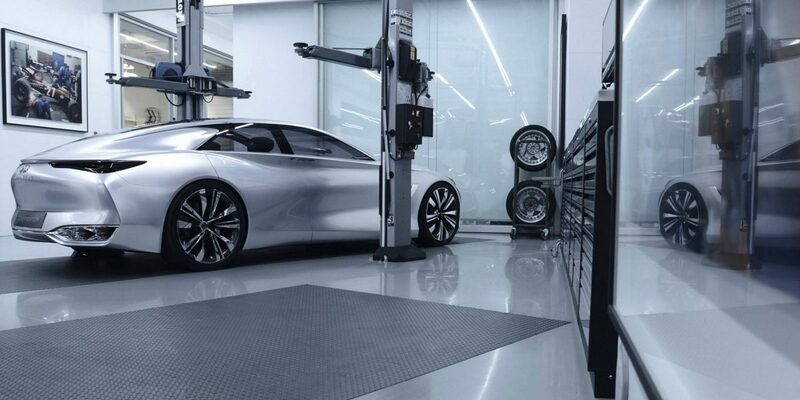 You decide when to engage with the autonomous technology by touching a button. The system emits tones suggesting a course of action but the final decision of what to do always rests with you. The driver is always in control and the technology offers opportunities for empowerment. All-new, downsized twin turbocharged 3.0-liter V6 and hybrid electric powertrain engines deliver 550hp of awe-inspiring performance. 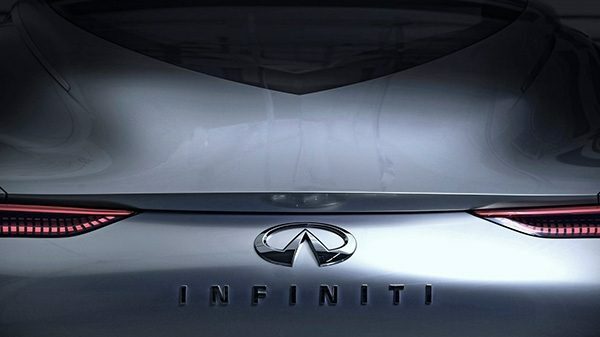 These are precursors to a family of engines that will be introduced to the INFINITI portfolio within the next two years. 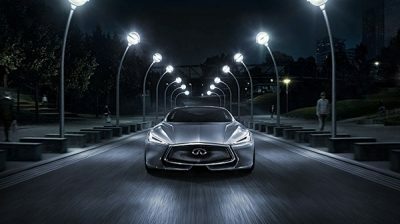 Boasting high fuel efficiency in the region of 5.5L/100km (42.8 mpg) along with CO2 emissions of about 129g/km, Q80 Inspiration blends 550hp performance with the social responsibility demanded by modern customers[]. The smart drivetrain reinforces the sporty appeal with the ability to switch from rear wheel drive to all-wheel drive on demand. 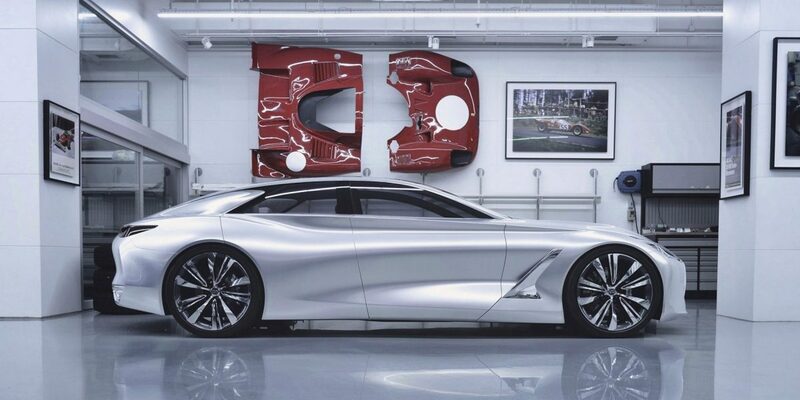 "The Q80 Inspiration is the epitome of provocation, a car that breaks the mold of traditional premium sedan dimension and body form." 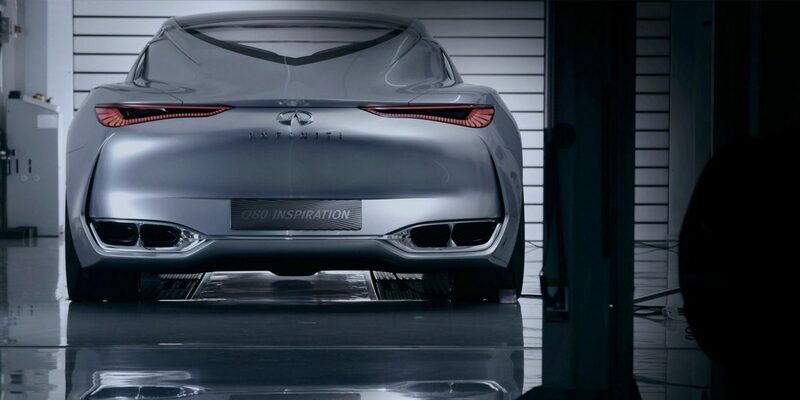 The Q80 Inspiration is a concept with production intent inherent in its name. 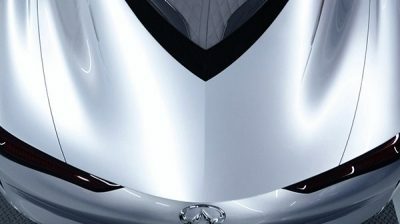 Everything about Q80 Inspiration speaks to a future design language, ingenious technologies and INFINITI’s ambition to make an impact launching into a new segment. 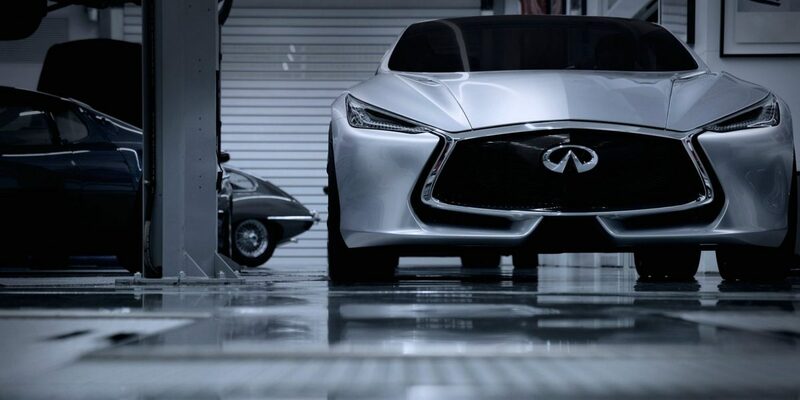 The sporty compact with a uniquely elevated stance and dramatic lines as expressive as you are. 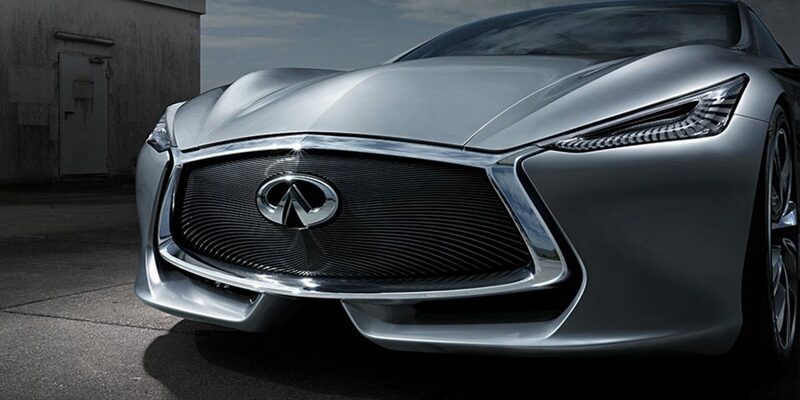 The head-turning, elegantly designed powerhouse that packs 400 horsepower and innovative technologies to push you further. 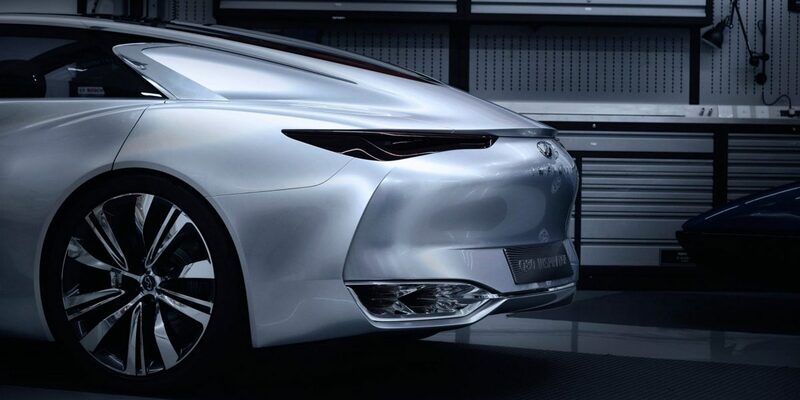 The luxuriously spacious, sumptuously sculpted and powerful sedan that gets you there with confidence.